Bill and I have a long history with Germany. Soon after we met I somehow convinced him to go with me to an intensive, full immersion course in Cologne to learn the language. He was even courageous enough to telephone the non-English-speaking family we were going to be living with to tell them our arrival details. In the 30-some years since then we’ve returned many times, always traveling by train to discover another part of the country we had never visited. Having said that, Munich has appeared on our itinerary more than once including a few days one year at Oktoberfest. It was exactly as we expected, if not more, but we figured that a single stopover there would be enough. Then a few weeks ago our neighborhood wine merchant (caviste Jean) asked us if we were going to Oktoberfest. The quizzical look on my face led him to hand us a flyer about the celebration we went to on Saturday night. 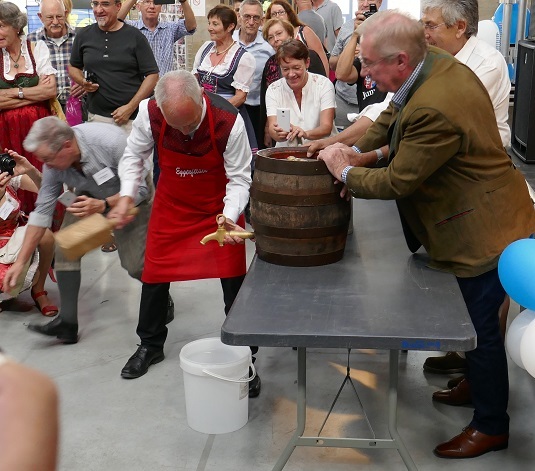 The festivities began when the mayor of our paired city Eggenfelden put a tap into a big wooden barrel which started the beer flowing. 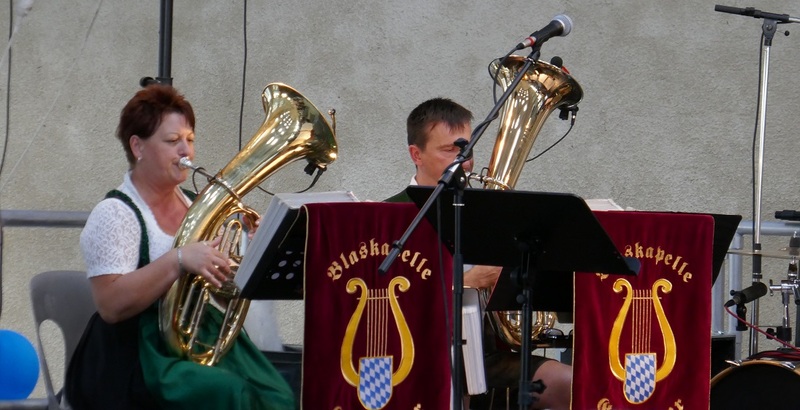 That was soon followed by traditional Bavarian music from the group Blaskapelle Gerleigner plus the tempting smells of grilled sausages, pretzels, and of course lots of beer. 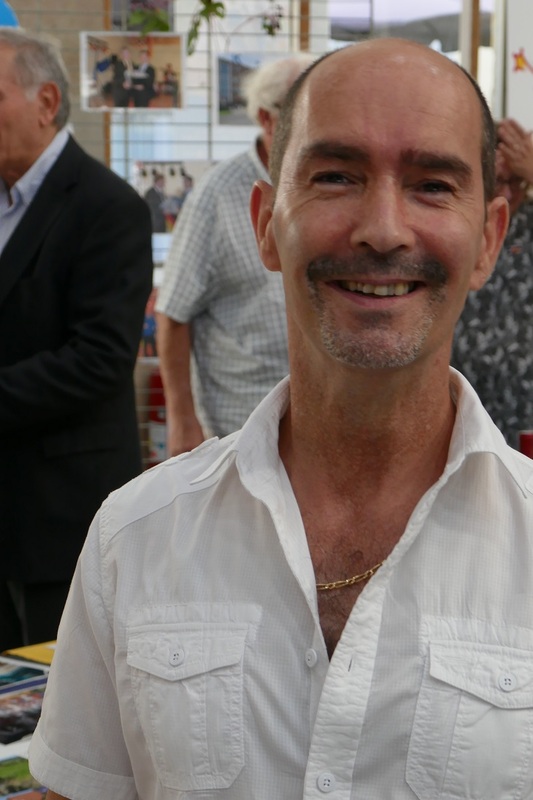 Displays from other twin towns were there with cakes, sculptures, and travel brochures. 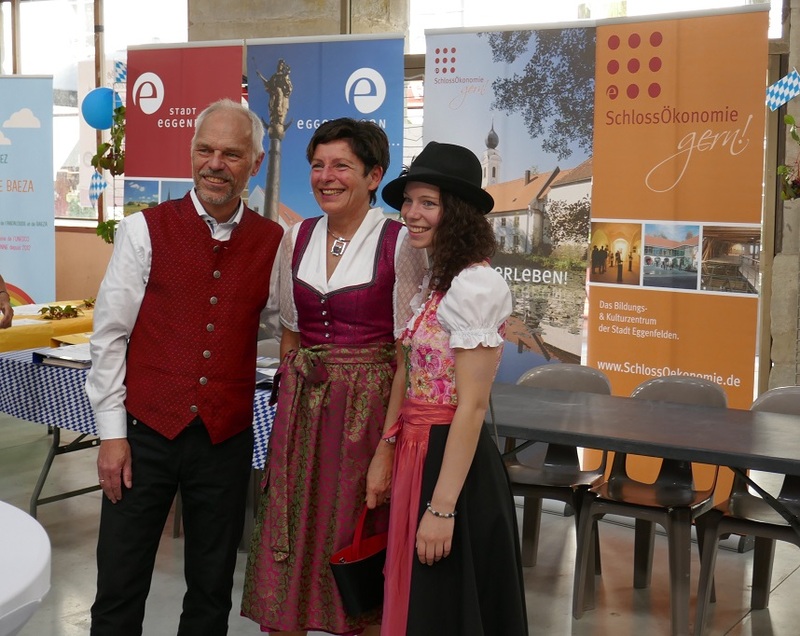 We met up with our caviste friend Jean, and thanks to the generosity of JJ, one of the organizers of the event, we got to sample the beer in that big wooden barrel before moving to the bar to enjoy a few glasses of the other beer, Brunner-Bräu, brewed in Eggenfelden. A full sausage, sauerkraut, and potato dinner was available too but we already had other plans that night. As usual, there are often more activities scheduled in town than we have the time to attend, and Saturday was no different. 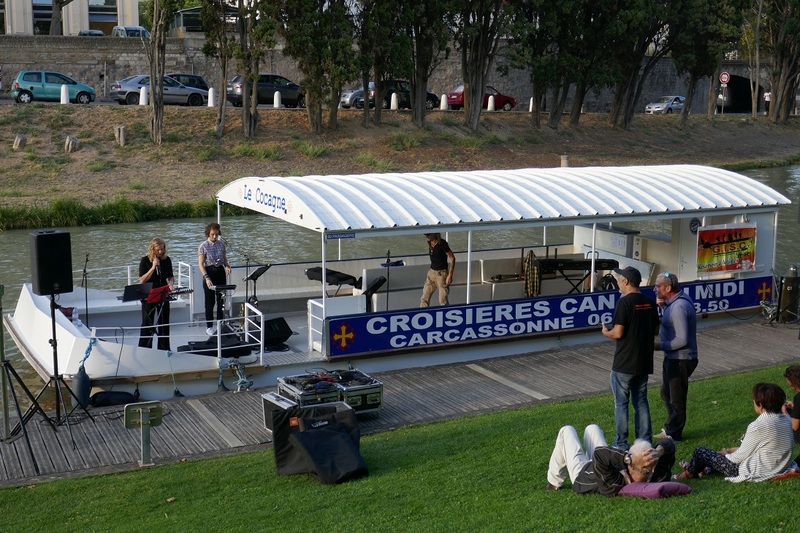 The Canal-du-Midi that passes through the city has a natural amphitheater near the train station that provides the perfect floating stage for musical events. We took our pretzels from earlier in the day, matched them with a full-bodied red wine made 20 minutes from our house and enjoyed an evening of Jazz on the Canal with Carcassonne resident Barbara Willar. Cheers, Santé, and Prost! 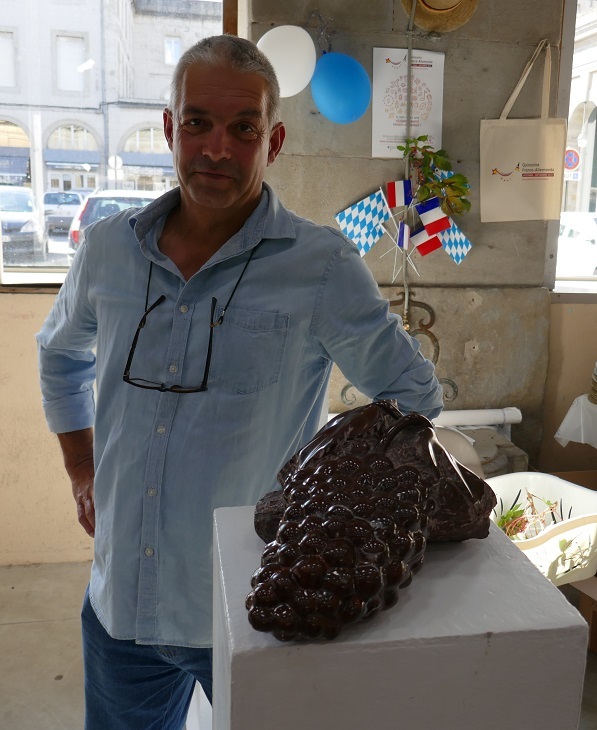 Posted on October 3, 2018, in Life in France and tagged Americans in Carcassonne, Community, Food. Bookmark the permalink. Comments Off on Oktoberfest in France.